Our Sunday Session last week went really well. Gabi McGrath gave a wonderful presentation about the bag she made with Judit Pocs at a workshop earlier this year, (Gabi did a fantastic job as she was also participating in a craft fair on the same day – thank you so much Gabi!) Our links with Hungary are getting stronger all the time. Sheila went to Budapest last September and met with a great group of felters with the same passion and zeal as ourselves. Gabi (who is from Hungary) joined the committee last May. 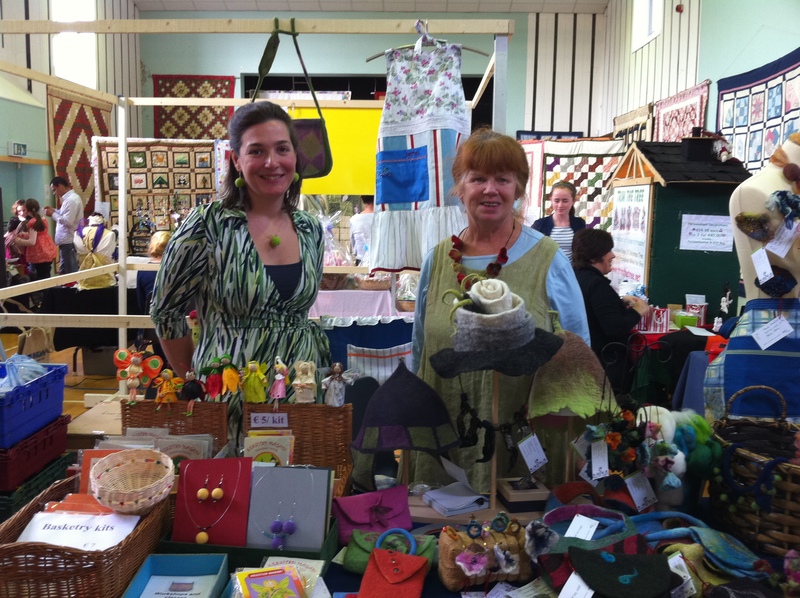 Clodagh and Carmen went to a felt symposium in Hungary in July. Several of our members met and worked with Judit Pocs this year and our latest two members are identical twins Suzanna and Lily from….Hungary. Carmen Sanchez is bring over Hungarian felt artist Vanda Roberts to Ireland in November for a 3 day masterclass – if you are interested in attending please contact Carmen directly 0857472537.